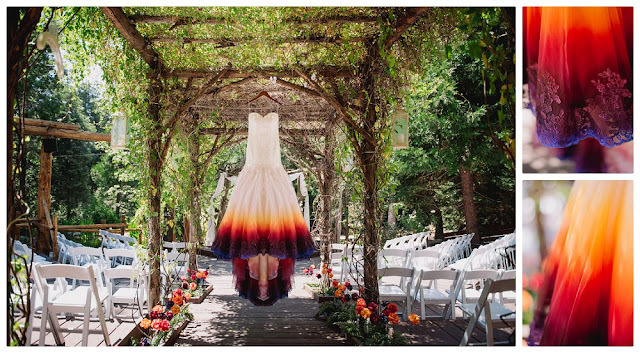 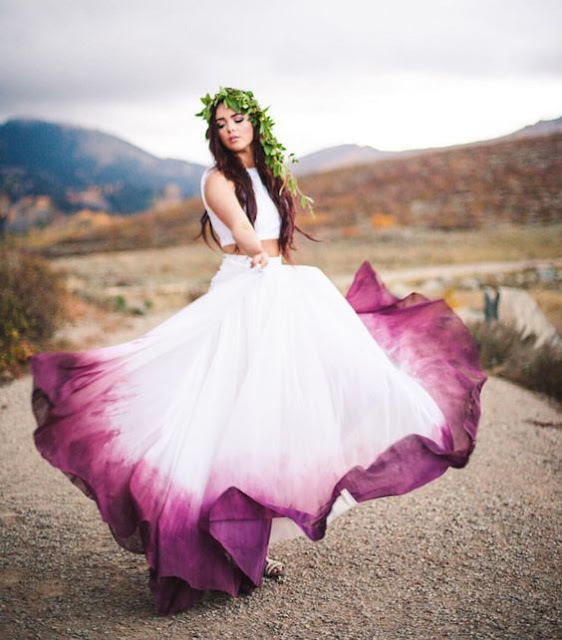 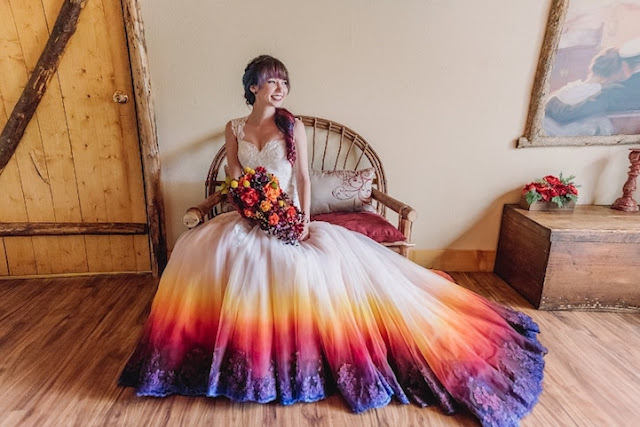 This morning as I was scanning Facebook, I found such a inspiring post on tie dye wedding dresses for Women! You read that right, Tie Dye! 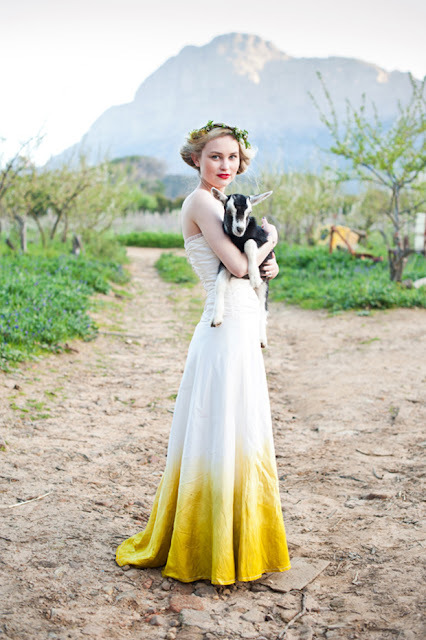 I love that these style of wedding dresses are so different then the 'norm' and standard White gowns. 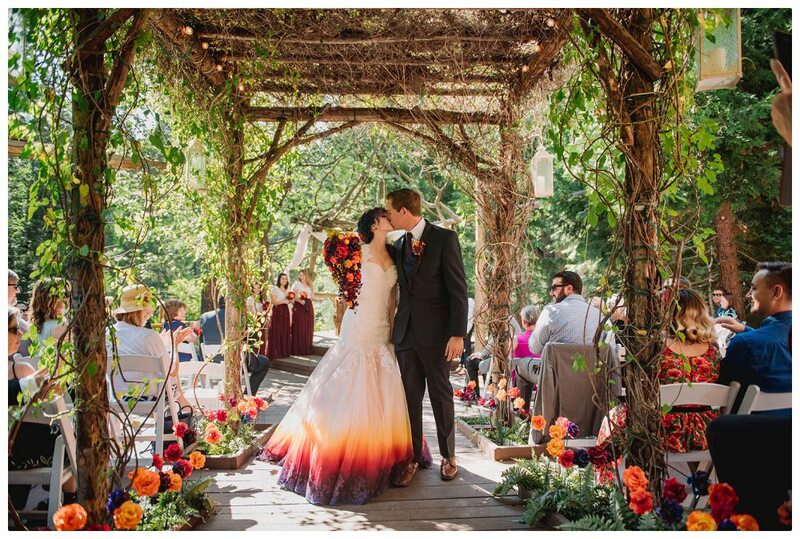 The fact that they are so vibrant, colorful and unique, I love! 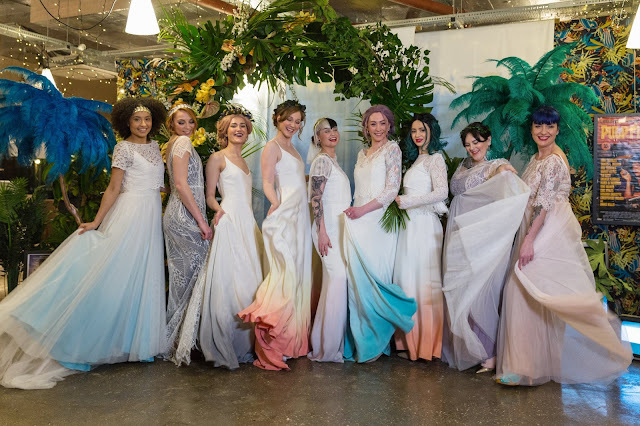 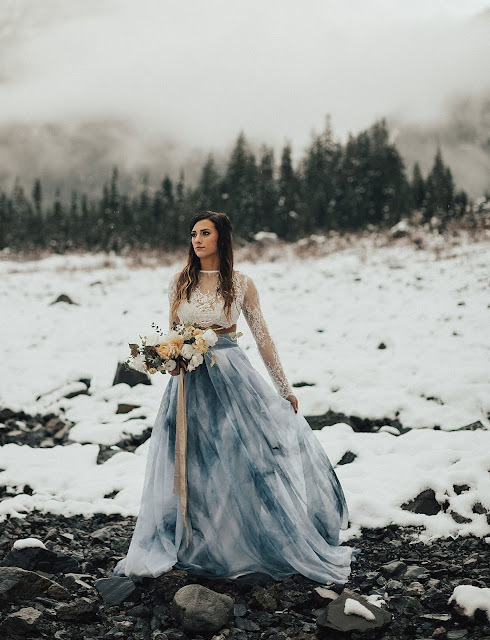 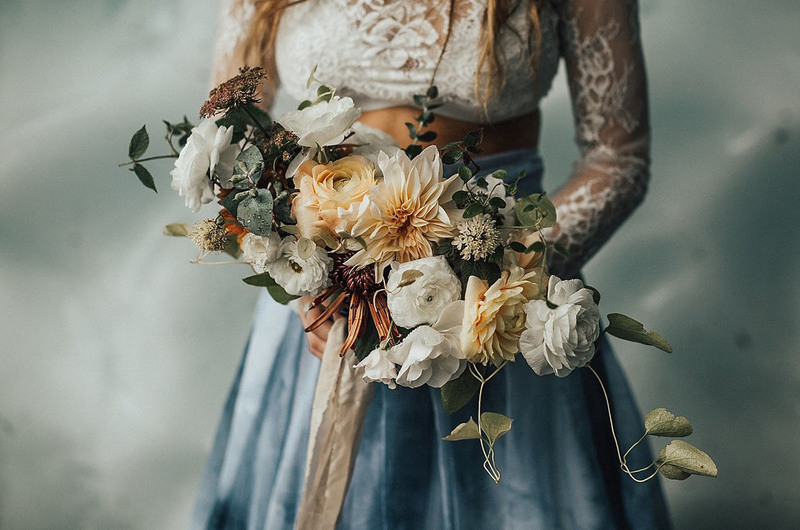 So, I wanted to create a blog post around this style of wedding dress and share just how beautiful they are and to tell you its totally OK to do different and step outside of that 'box' for your own wedding dress! I know if I ever get married again, this maybe a option. 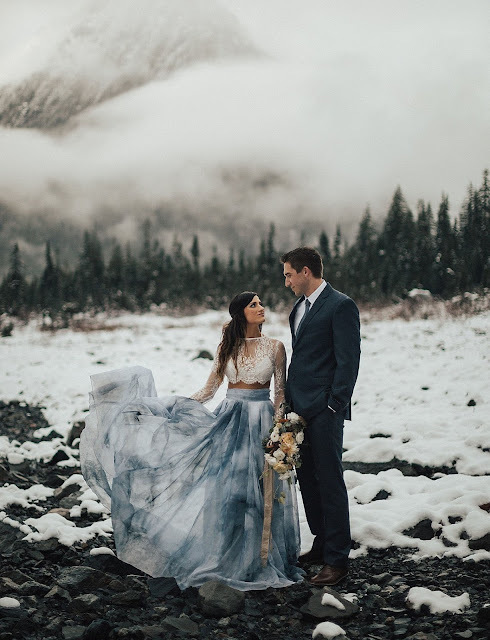 If you get a chance, click on this link and take a look at this couples beautiful wedding photos, they actually made me tear up because in my mind they had the perfect wedding! It would be a dream to have something like that.